One of the greatest challenges facing health care today lies in understanding the rights and responsibilities of patients and practitioners. Taking the moral high ground in its delivery is critical to safeguarding patients’ rights. 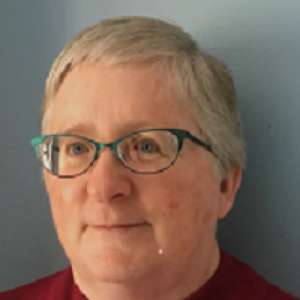 Milly Ryan-Harshman, PhD, has long been fascinated by health literacy and ethics, and has made it her duty to empower the next generation of healthcare practitioners with the knowledge and understanding to adhere to the highest of ethical practices. A Senior Lecturer and Associate Graduate Faculty Member, Dr. Ryan-Harshman joined UOIT in 2005 and has been actively involved in developing and teaching health literacy and ethics courses in its Faculty of Health Sciences. Her passion for end-of-life care resulted in her widely regarded research paper Perspectives in Biology and Medicine – Refusing Technology, Accepting Death. Dr. Ryan-Harshman’s keen interest in scientific writing, nutrition, and health literacy culminated in her role as a public health nutritionist with the Durham Region Health Department, and in her role as a consultant within the agriculture and food industry. As an expert in program development, she established numerous continuing education programs on nutritional supplementation for physicians and pharmacists. She has also collaborated on nutritional genomics and dietetic professional practice research with colleagues across Canada, and co-authored a series of articles on the Dietary Reference Intakes, a literature review on the impact of nutritional genomics on dietetic practice, and a book chapter on nutritional genomics. She has been an invited speaker to the International Congress of Dietetics (Manila and Chicago), The Nutrition Society (London), and various national conferences in Canada. Born and raised in Mississippi, her appetite for lifelong learning has taken her across the U.S. in pursuit of higher education. Recently, Dr. Ryan-Harshman earned her Master of Arts in Bioethics and Health Policy from Loyola University Chicago in 2015. She previously completed her Doctorate at the University of North Carolina at Greensboro in 1987, and her Master of Science at Mississippi State University, both in Human Nutrition. Her keen interest in the dissemination of information prompted her Bachelor of Arts in Journalism from the University of Louisiana at Monroe. The Supreme Court (SCOC) delivered a decisive answer February 6 on Canada’s existing law on assisted suicide. The SCOC’s nine justices were unanimous in ruling to strike down the law. But a Faculty of Health Sciences (FHS) lecturer at the University of Ontario Institute of Technology (UOIT) says Canadians are now facing a multitude of difficult ethical questions on a very divisive topic. As the use of medical technology has increased near the end of life, new challenges have arisen regarding the dying process. Prior to the development of medical devices that sustained life, people held a more circumspect view of mortality because there was no other choice. Legitimate questions should be raised about the potential overuse of medical technology, and this may be applicable to implantable cardioverter defibrillators (ICDs). ICDs are used to correct potentially fatal arrhythmias, but one question that has been inadequately addressed is whether implanting such a device should, at some point, be considered too burdensome despite limited benefit. ICDs ought to be reconsidered under the circumstance of advanced age, and the challenges related to health literacy, acceptance of death, and resource allocation related to this technology must be addressed to avoid burdensome cardiac care that does not improve the quality of life. This chapter has three objectives: to elucidate common gaps in the current capacities of registered dietitians in nutritional genomics, to identify key success factors and barriers to integrating nutritional genomics into practice, and to propose strategies for advancing dietetics practice in nutritional genomics at national and international levels. Registered dietitians, as trusted and credible sources of food science and nutrition information, have a pivotal role to play regarding knowledge translation in the emerging era of diet–gene interactions. To fully embrace this new role, registered dietitians must build on their foundational knowledge of food and nutrition science while increasing their understandings of human genetics including the ethical, legal, and social issues associated with genetic testing. Registered dietitians will need successfully to integrate the two disciplines into the science of nutritional genomics.